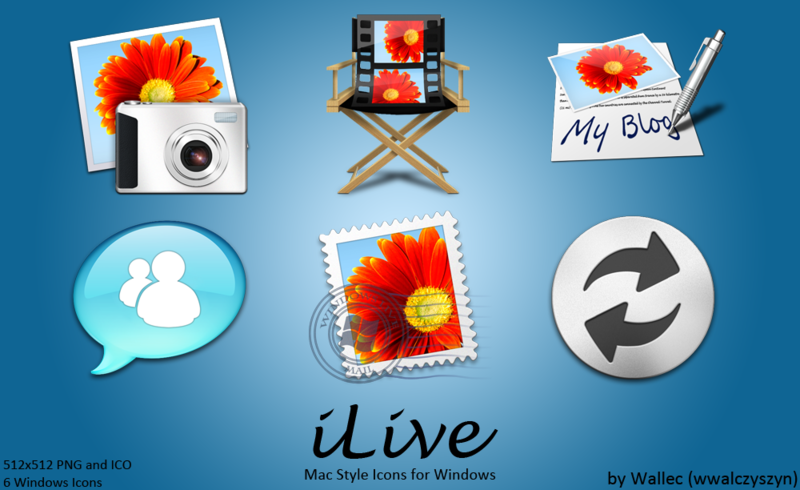 6 Windows Live Essentials icons in Mac OS X style. wwalczyszyn has also created this fantastic set. The artist has has asked to donate if if you enjoy the icon set so that he can create lot of more free icons for you. Click here to donate the artist via PayPal. This Article Has Been Shared 8619 Times! The set contains two set of icons: full with new RSS feed is indicated by bunch of newspaper inside it; while no new RSS is indicated by an empty wooden tray. Cite this article as: Abhishek Ghosh, "Mac style Windows 7 icon set 2 for Windows Live," in The Customize Windows, April 26, 2011, April 25, 2019, https://thecustomizewindows.com/2011/04/mac-style-windows-7-icon-set-2-for-windows-live/.